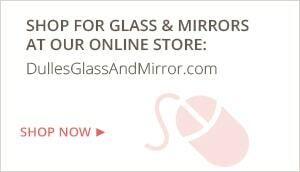 Dulles Glass will help you customize a beautiful mirror for your bedroom today! Custom mirrors can make a smaller bedroom look larger. The sleek, modern look of mirrors on your closet doors is functional and beautiful. Or, get a large custom mirror installed on the back of your bedroom door – so you can leave your room looking perfect and put-together! Choose a large, custom-cut mirror for a smaller bedroom – it will really open up your space! Install a wall-to-wall mirror above a desk to create a custom make-up vanity in the comfort of your room. Install mirrors on your closet doors, as a headboard, or even on the ceiling! Choose several smaller mirrors in varying shapes and sizes to create a piece of artwork for your bedroom. You don't have to be a glass expert to create a great bedroom retreat. 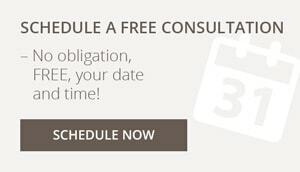 Just submit a quote with the information you do know about your mirror project, and someone will contact you with a preliminary quote for free, in 24 hours. We'll help you get it just right for your business and your customers. Use our quote form to get a free quote today. Within 24 hours, a knowledgeable glass expert will get back to you with a rough quote based on the information you provided. If you'd rather, someone can come out and measure your facility and advise you on just the right specifications for your mirror. We offer an outstanding 2-year warranty on your mirror products. Add $1 per sq. ft. for safety backing.